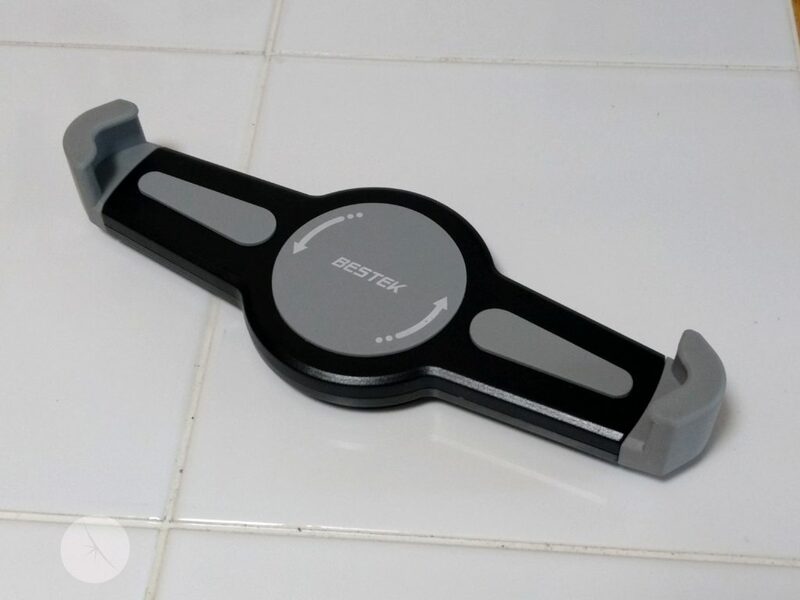 Bestek is a company that sells accessories and power supplies. 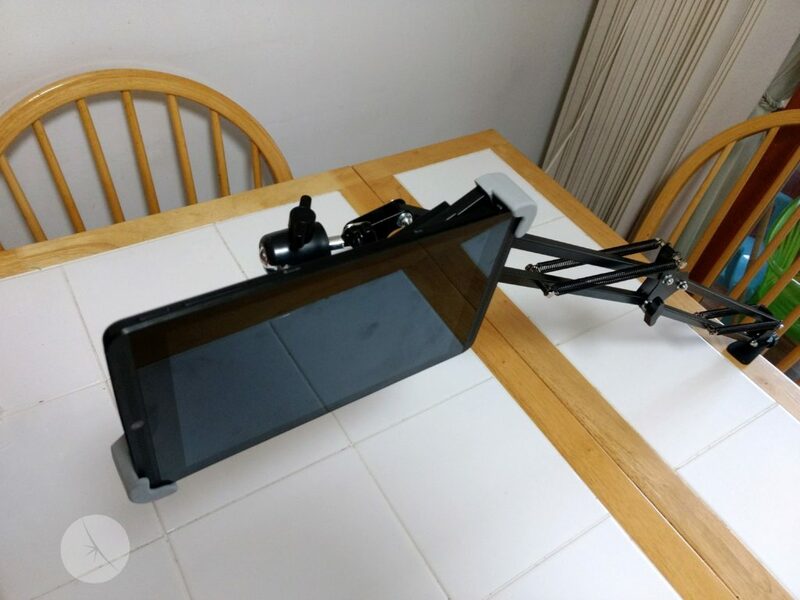 They’ve sent me a tablet stand to try out, and write up a review. On the whole, I found this stand to be useful, but in the fashion that was different than I might’ve hoped. 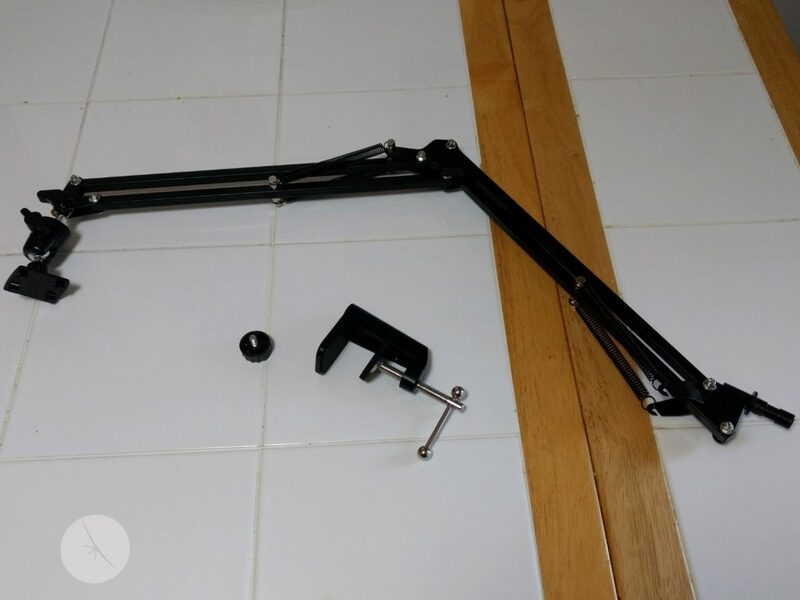 The unit itself is comprised of various metallic components, such a springs, bolts, and even the frame; everything save for the bolts and part of the holder is colored black in my case. 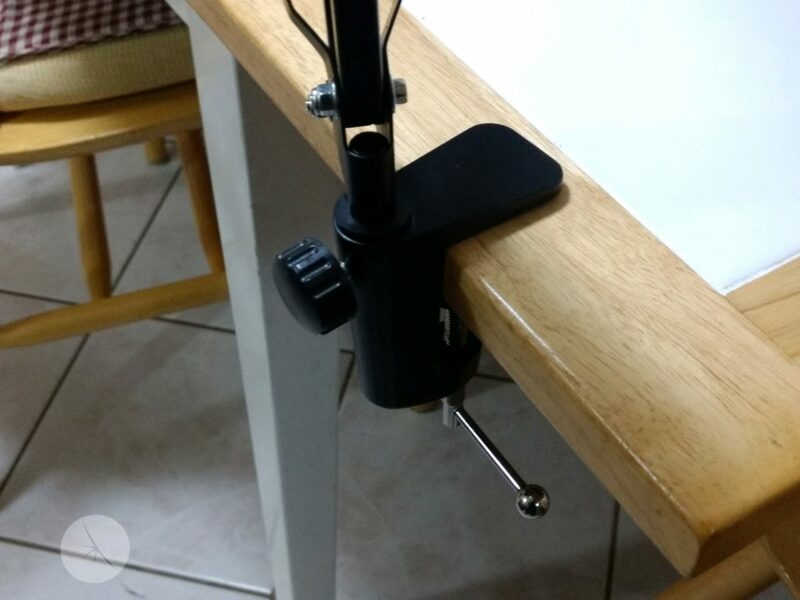 This stand uses a clamp at the base, where users fasten it to something like the edge of a desk, where a softish surface is tightening in to keep the unit from tipping over, and providing a sturdy base. It can swivel on that base, and extends upwards from there. 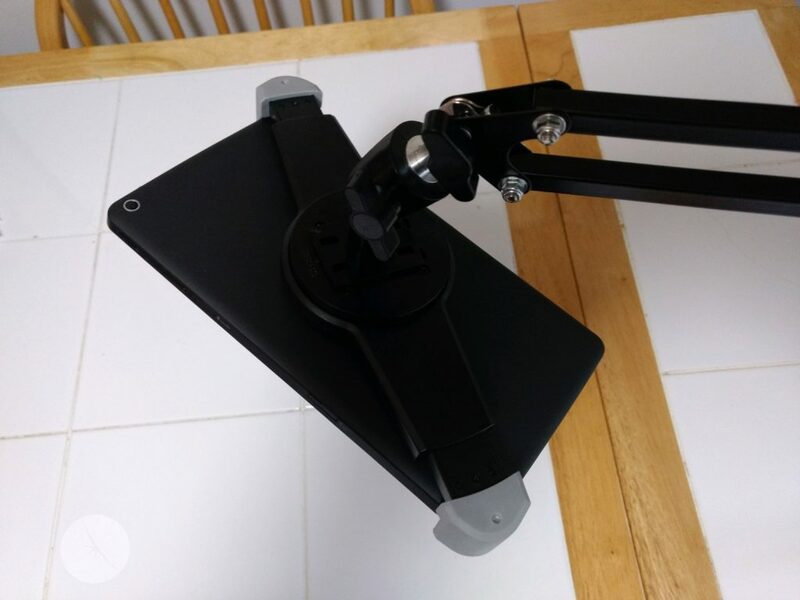 There are three elbow style joints, and the tablets is bracketed in a holder that locks securely on to the end of the stand, with the two parts connecting by way of a ball joint, to allow a decent amount of positioning of the tablet. It’s tricky to describe in words, but is fairly simple to use. Each of the four joints, as well as the pivot at the base, can all be tightened down to prevent unwanted movement; there are also springs along the arm to assist in movement. The tablet is fastened in place by using a sort of bracket for a lack of a better word. 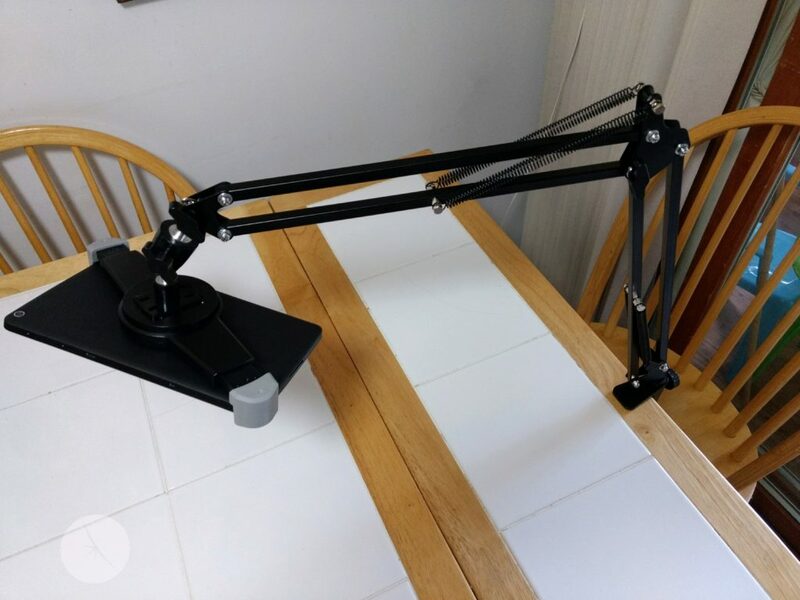 It’s a flat unit that has two extending arms that can be stretched out to rest on opposing corners of the tablet. 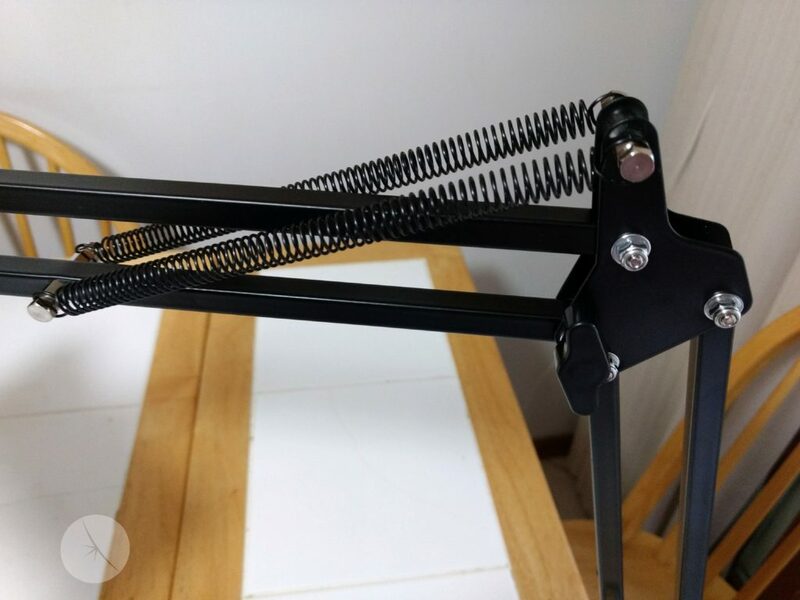 The ends of each of these “arms” ends in a very soft plastic that, coupled with the tension of the springs against the arms, creates a grip that’s quite snug. This bracket then is locked on to the end, with the tablet already placed inside of it. Taking the tablet in out of of both the bracket is quite simple and quick, taking little time and even less effort. 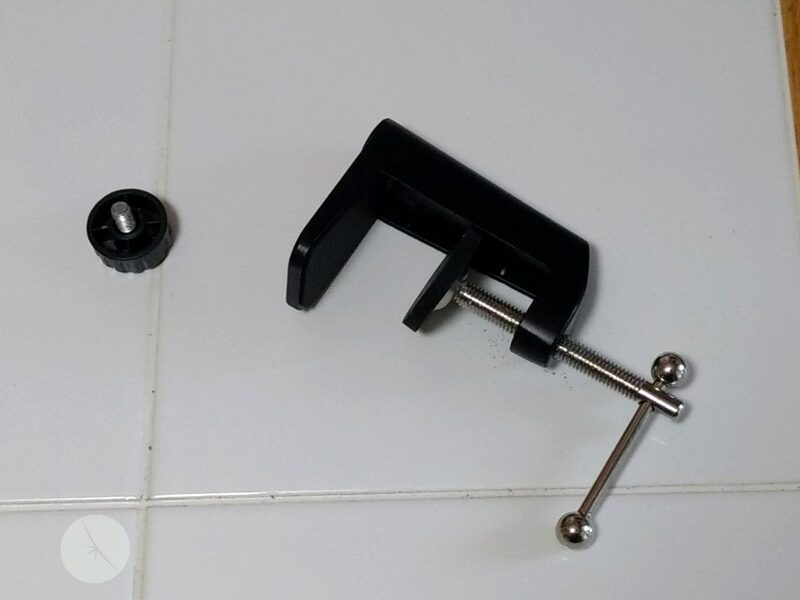 Attaching it and snapping it into the lock position wasn’t quite as easy, but was still far from problematic. As for using it, the unit was very straightforward to set up, and functioned as designed; both of these are important to me in reviewing something, so in these departments the stand functions incredibly well. On the other hand, there are my initial expectations that I want to share here, even if it’s not something being held against Bestek and the product. 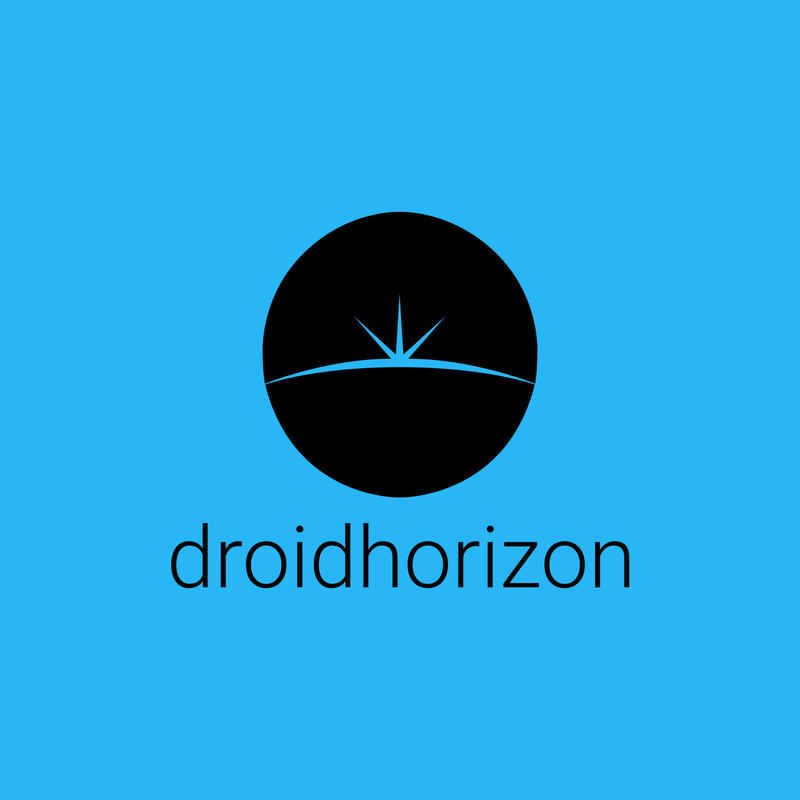 I was hoping for something a bit on the mobile side, as I think of my tablet (as well as a good chunk of my personal tech) as mobile. I carry my tablet, a Bluetooth keyboard, spare battery, charging cables, and the like, with me on a fairly regular basis. 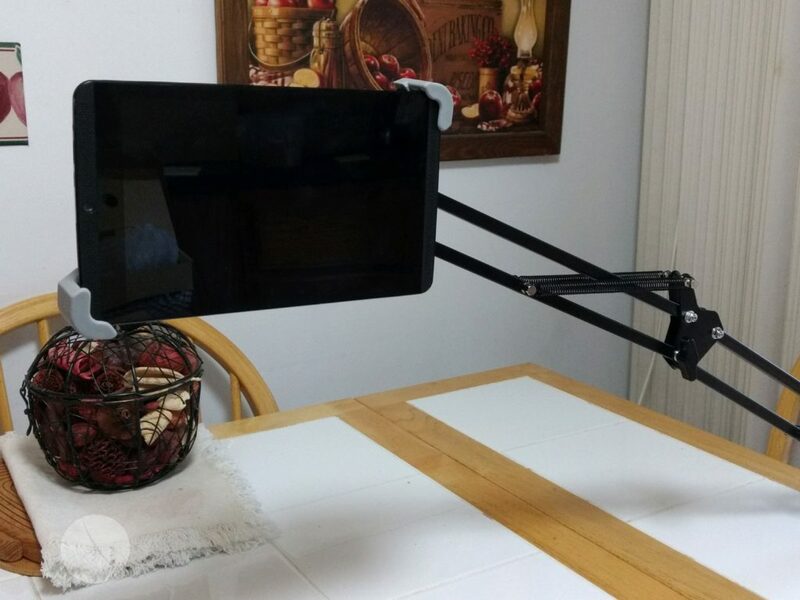 Thus, at the prospect of a tablet stand, I was intrigued to see how it would fit into that approach. This, unfortunately for me, isn’t designed for that. Fastening this down to a flat surface felt like it took some planning (finding the right spot on the table, as this isn’t a free flowing, goose neck), and then taking the time to tighten the brace into place. Once that was done, it was very secure and not moving, nor was I feeling inclined to move it, thus I can’t picture myself taking it to a conference or lecture where I’d need to hope for a tablet, sett it up and tear it down to move to another spot or break for a meal, only to repeat the process again an hour or so later. For frequent set up and tear down, it’s just not with that in mind, but is instead meant for long term use at a desk where it will stay at home or at work, and not be moved around very often. So, with my personal hopes and expectations aside, I have to say that I really like this stand.. It’s easy to set up and leave in place, with the confidence that it shouldn’t come loose from its position, and start to droop or drift. The only place that I would’ve like to have seen a slight improvement would’ve been a bit more lateral flexibility. Again, there’s a swivel at the base and a ball joint at the end, but it did seem a bit restricted in its movement, during the different times I got it set up and tried to position it *just so*. Thus, I’m scoring it a 9. This feels sturdy, is fairly simple to set up, and really easy to use. It just feels like it lacks a modicum of additional lateral movement, and that holds it back from a perfect ten.